This is a reason why her relationships with the characters she encounters are important; they help define her role in the universe as a person rather than as a caricature. In Adam, she sees someone she was once close to and whom she has grown apart from, but still finds that lingering attachment that eventually allows her to find closure. In Anthony, it’s an old comrade; he’s the most outwardly friendly to her and accepting of her presence in the mission and, he selflessly puts his life on the line when she’s in need. 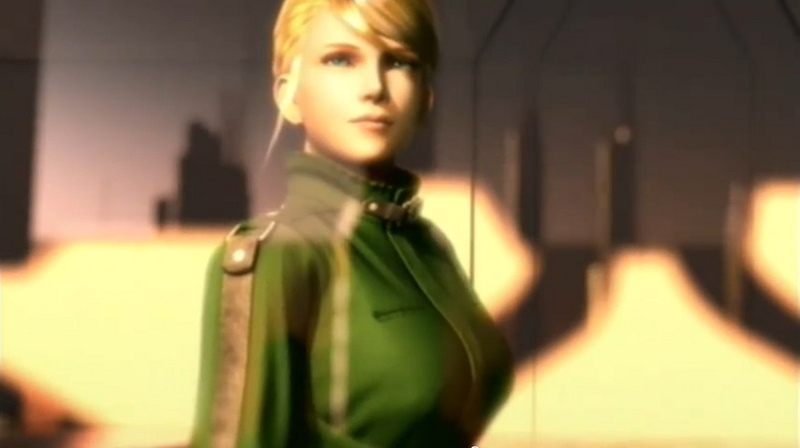 Samus sees a friend in him, but also feels regret at the notion that she doubted him and suspected him a traitor. And then there are Madeline and MB. Madeline participated in illegal research that led to the deaths of most everyone aboard the Bottle Ship and potentially risked the lives of countless others, yet her intentions were not necessarily malicious. MB is an android Mother Brain surrogate, in her own way as dangerous as any Metroid, if not more so. Just as Samus took pity on a confused baby Metroid, Madeline nurtured the evolving human side of MB. And just as Samus’s pity on the hatchling would result in the deaths of a research station’s crew and a second journey through Zebes, Madeline’s failure to rescue MB in her time of need ultimately endangered the lives of everyone in the facility. They’re mistakes that Madeline will undoubtedly have to pay for, but Samus is able to understand her position, at least to an extent. It is for this reason that she protects her from others that desired little more than to make her a scapegoat, and with Anthony’s help, allows her safe transport off of the Bottle Ship. Samus and Madeline share some surprising traits in common. This expanded characterization carries over into the gameplay, as well. In prior games, Samus is forced to farm for health and ammo on a regular basis. But in Other M, she’s is given a new ability that makes logical sense within the context of the game’s universe. By standing still and concentrating, she can recharge her stock of missiles and a measure of her suit’s health. It’s a concept that makes more contextual sense within the Metroid universe. In addition, this basic change in the way that her health and ammo are restored has a natural effect on the game’s flow. 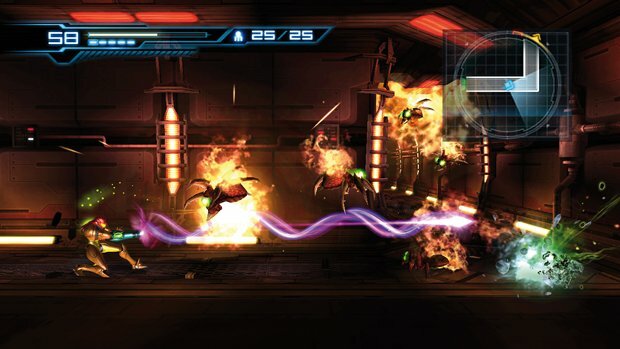 The digital movement controls are simple enough; the game’s environments all contain invisible tracks that allow Samus to maintain the direction of her movement, even when the camera is moving with her. Samus moves very much like she always has, fast and responsive. The only real difference is the addition of a third dimension. And as for having to point at the screen to enter first-person, perhaps I’m a quick draw with my left hand, but that, too, is something that feels responsive, and it’s a novel way to change up the gameplay. When it comes to the auto-aim, I can understand why this might bother some people. It is, after all, a case of the game doing a spot of heavy lifting for the player. Yet, the game overall was designed with auto-aim in mind; enemies behave as they do and are encountered where and how they are based on that fact. From my experience overall, Other M was roughly on par with the difficulty of Zero Mission or Super Metroid. Most of the challenge in those 2D games comes not from the fodder enemies, but from the environmental hazards and the boss fights. The boss fights in turn came down to learning their patterns and avoiding taking damage. Other M’s combat is based on the same principles. The fodder enemies are, for the most part, not challenging, though they certainly up the ante later in the game and especially in the epilogue chapter. So in a sense, while the gameplay isn’t perfectly analogous to its predecessors, it is, in its own way, faithful to the flow of the previous entries. Even the linear nature of Other M, which eschews the more open form of exploration seen in Super Metroid, has its roots in Fusion. Yet the game grants those that prefer the more open-ended format the opportunity to explore at will in the epilogue. The game basically encapsulates everything I’ve wanted out of Metroid. 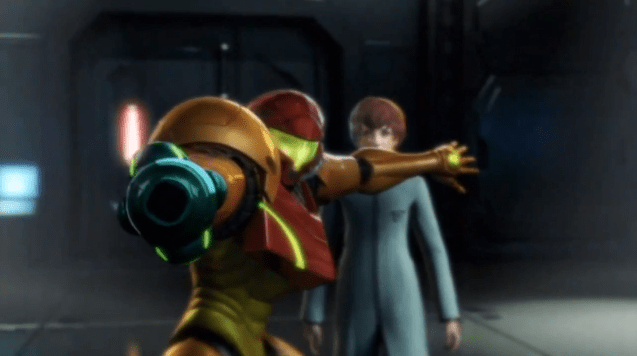 Ever since the release of Zero Mission, I had longed to see Metroid tackle third-person exploration in a 3D environment and to continue broadening the scope of its storytelling. While by no means perfect, Other M takes the very route that I had desired. And if given the opportunity, I would love to see Nintendo and Team Ninja team up for another entry on the Wii U. Given better writing, as well as more refined gameplay that still held to Other M’s core concepts, a sequel could substantially improve on the ideas that drove their original attempt. My greatest hope as of right now, however, is that Nintendo doesn’t shy away from what the game accomplished. Other M was very much a game produced outside of their comfort zone; it takes one of their more popular core franchises and protagonists and tells a mature story filled with fully-voiced characters. More than anything else, I’d like to see Sakamoto and company take their time to understand what succeeded, what failed, and come back with a new entry, better than before, that maintains the flawed, human characterization of Samus that I appreciate so much. And I hope to see her in another mission soon.